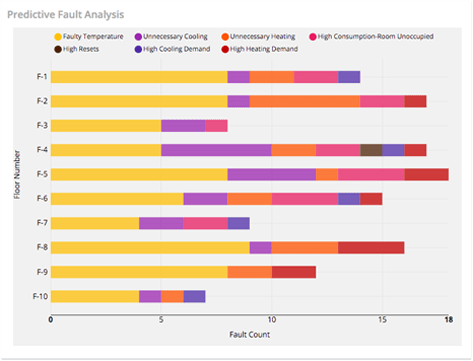 Leveraging our disruptive innovation approach and expertise in Big Data & Analytics, we helped a Fortune 100 Global Technology Company build a predictive fault monitoring solution that reduced maintenance cost by 20%. 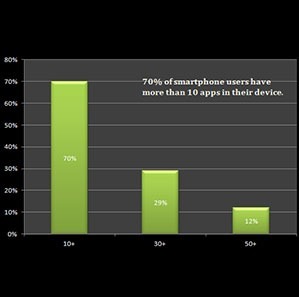 We employ the MOBILE FIRST approach to data visualization. With an experienced team of data scientists with strong background in business analytics, machine learning implementations and recommendation systems, and a range of advanced IP assets and frameworks we can help your business manage data and gain competitive edge from it. The healthcare industry is facing challenges like making its services accessible and affordable; improving treatment outcomes, shortage of resources and cutting down on re-admissions. 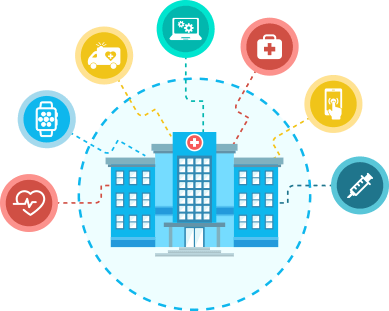 It also experiences decentralised data deluge, more than they digest, in patient records, weblogs, lab records, physician notes and CRM. 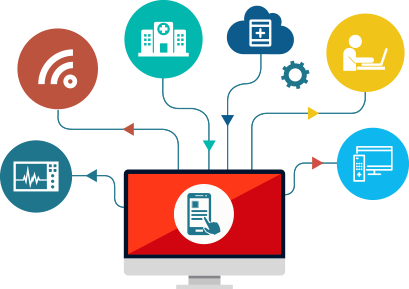 The voluminous structured and unstructured data available can be the path for healthcare service providers to build a sustainable and effective delivery system and provide answers to the challenges. What Big Data can do for Healthcare? Patient care - Get patient history, bring patient centricity, cut-down duplicate tests and reiteration, reduce readmission rates and drive better outcomes. 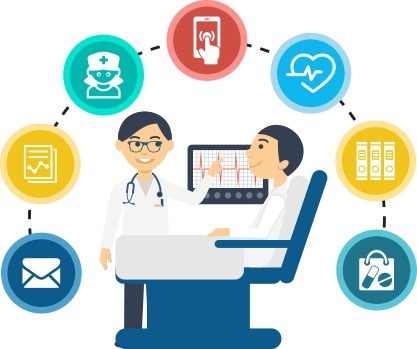 Patient engagement - A 360 degree patient engagement applied by integrating data from labs, radiology, social tools and electrical medical records. Cost-revenue model - Pricing analysis, cost saving analysis, volume and utilisation analysis is effectively designed by big data tools. 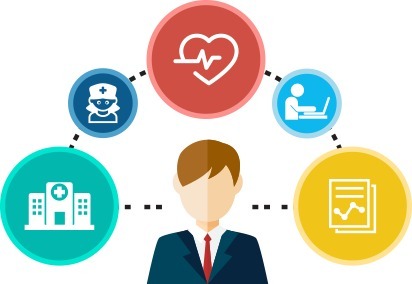 Quality of care - The analytics can involve digitisation of nurse care services, remote monitoring, tracking medical treatment and improving customer satisfaction to a large extent. Assurance of treatment given - Medical treatments being used when compared and analysed to thousands of others can highlight threats and issues to enable predictive modelling and ensuring the right treatment. Patient education - Educate patients on preventive care and actively engage with patients post-discharge. Telecom companies are experiencing huge expansions in scale, speed and scope of its services. The industry is also seeing massive rise in data which if structured can lead to better service and customer satisfaction. Big data can help the industry in reducing customer churn, decreasing operational costs and employing resources better. What Big Data can do for Telecom? Customer churn management - Identify customers with higher risk of portability, identify retainable prospects and offer customized services to retain them. New pockets of revenue - Leveraging your data across a variety of industries to highlight and bring out new sources of revenue. Customer Engagement - Enlarging B2C platforms to ensure higher returns on your investments while leveraging the data, framing customer retention strategies and managing other stakeholders involved. 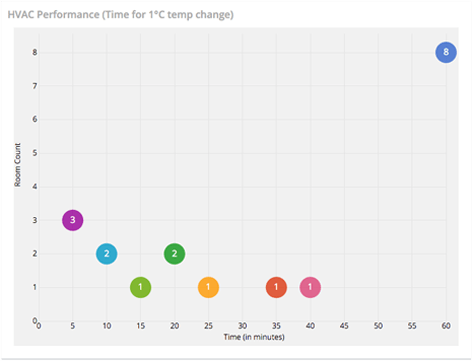 Network Subsistence- Get real-time picture of your network, creating exact measurements of jitter and delay in networks, analyse performance, detect and resolve issues and improve customer experiences. The retail industry today is undergoing widespread changes. These changes are not restricted to transformation from brick-and-mortar to mobile. 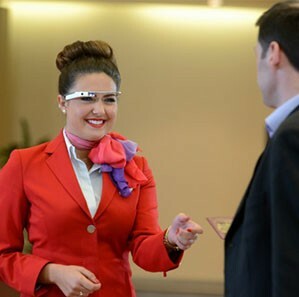 A key challenge is to deploy a real-time omni-channel experience to enhance customer experience. The industry is also facing a drop in traffic as a result of consumers taking less shopping trips. Retailers today have a massive pool of information. If this is put to the test, it can be the answer to the challenges ahead. Big data analytics can help the retail sector in rephrasing the definition of their business and provide insights that can lead to providing them the extra edge in the competitive world. What Big Data can do for Retail? Inventory holding - Identify in-demand products & services based on real-time consumer feedback & interests, providing the base for price optimisation needs and knowing the right amount of stock to hold. Customer Segmentation- Do finer-grained customer segmentation, improve customer acquisitions and gain buying behavioural insights to edge out competition. The finance and investment world is in the stage of metamorphosis. In effect to the major shifts in consumer behaviour, government policy requirements, lack of resources and data security, this industry faces some serious challenges. 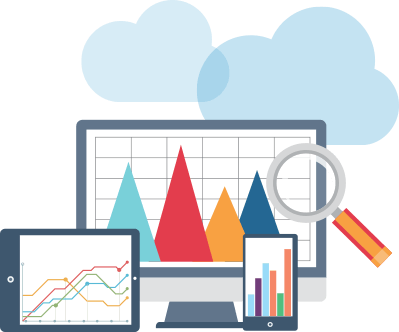 Being reliable on pure data, it rests on a huge pool of statistics from multiple sources and transforming this data into useful analytical information with the help of Big Data can give actions to the problems it faces. Big Data can guide through improving product and service development, portfolio management, risk management, financial statement analysis and effective decision-making. What Big Data can do for Finance? 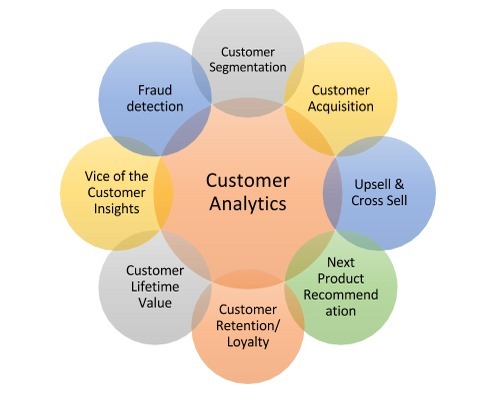 Customer Insights - Accuracy in consumer segmentation, prediction of needs and offering fully-personalized services. Creating opportunities for up-sell, cross-sell and repeat business. Process Management - Get insights on processes, delays & response time to build streamlined, agile and regulatory conformed processes. Risk & Fraud Management - Assess risk profile, reduce risk exposure, detect and prevent frauds. Decision-making- Use accurate, real-time data & information for informed and expedite decision-making. Enterprises today need to glean insights and make sense from volumes of data stored on their servers. 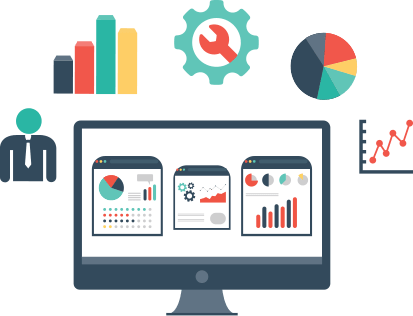 Our business analytics capabilities help you build the right foundation to harness structured and unstructured data for analysis, insights and actions and discover new ways to make data-driven decisions, strategize, optimize business performance and explore new opportunities. With the MOBILE FIRST approach to data visualization and an expert team of data scientists and business analysts, we can help your organization transform into a high-performance and data-driven business. Enterprises are increasingly implementing machine learning algorithms to improve future outcomes based on previous experiences. From helping financial service businesses in fraud detection, risk management, stock market analysis etc., to helping retail companies for targeted promotion & advertising - we can help enterprises across industries in implementing machine learning algorithms and make most from their data and analytics. Our team has complete authority on a range of machine learning tasks including classification, clustering, recommendations etc., to offer customized solutions for your business. 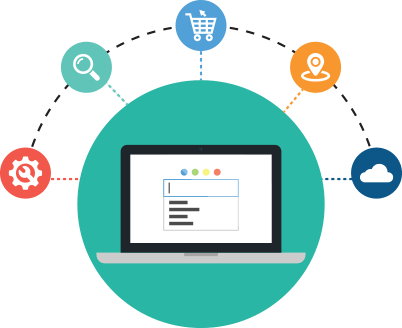 Businesses like Google, Netflix and Amazon have transformed the online business landscape by personalizing user experiences through powerful recommendation engines. Today, a powerful recommendation system is key to success in the digital world. [x]cube can help you leverage your data and address business challenges with its extensive range of machine learning algorithms to ease product or content discovery, boost user engagement and sales through upsell/cross-sell.